Zensi Miriam Makeba, also known as Mama Afrika, was a South African singer, songwriter, actress, and activist. 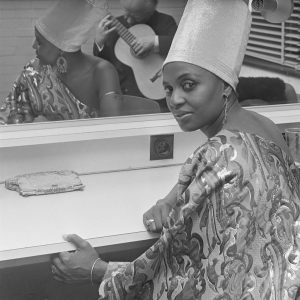 Born in 1932, Makeba started her professional singing career in the 1950s, and after gaining international attention worked extensively with American singer Harry Belafonte. Their album An Evening with Belafonte/Makeba won a Grammy for best folk recording in 1965. 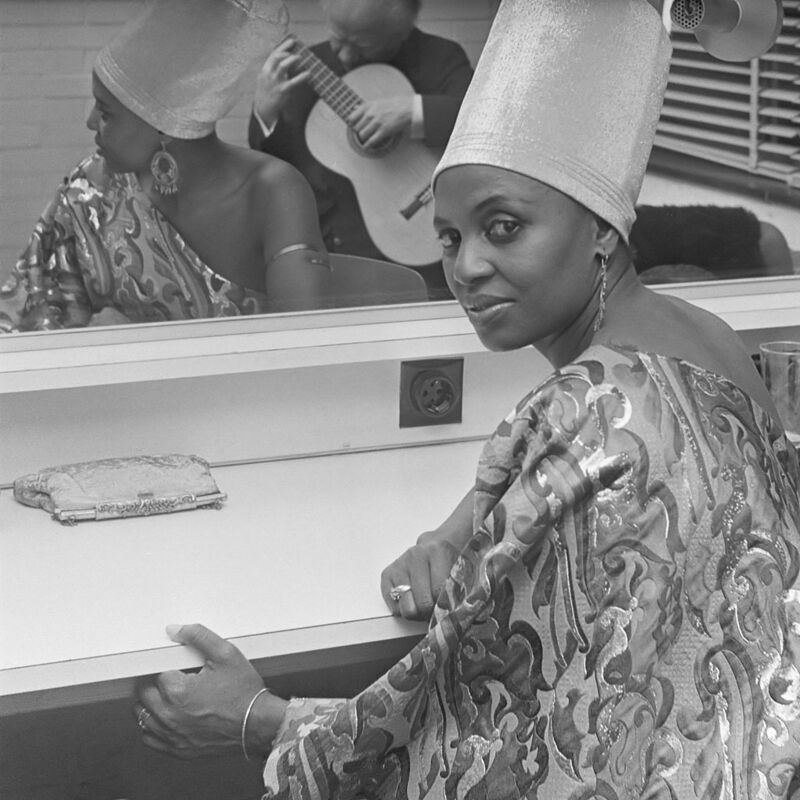 Makeba recorded 30 solo albums, 19 compilation albums, and appeared on the albums of numerous other artists throughout the years. Makeba was named a United Nations goodwill ambassador in 1999 and was awarded the Otto Hahn Peace Medal in Gold by the United Nations Association of Germany (DGVN) in Berlin, “for outstanding services to peace and international understanding”. Carrying on a similar tradition of musical advocacy in our department is Assistant Professor Chérie Rivers Ndaliko. Trained in composition and piano, Ndaliko has used these skills to further her passion for advocacy through music. Her husband, acclaimed filmmaker Petna Ndaliko Katondolo, founded Yolé!Africa in 2000 (in Goma, Democratic Republic of the Congo) and Ndaliko serves as Executive Director of the organization. Here at Carolina, she teaches undergraduate courses such as Music and Politics and Media and Social Change in Africa. Similarly, her own research focuses on art and social justice in African warzones. Through her research, teaching, as well as her work with Yolé!Africa, Ndaliko not only raises awareness of these too often overlooked wars but spurs a deep passion in her students and peers to strive for real change. Ndaliko has authored two books about using music as a tool for advocacy during times of conflict and war: Necessary Noise: Music, Film, and Charitable Imperialism in the East of Congo (Oxford, 2016; recipient of the 2017 Alan Merriam Award and the 2018 Kwabena Nketia Book Prize), and a co-edited volume, The Art of Emergency: Aesthetics and Aid in African Crises (forthcoming with Oxford). To read more about Ndaliko’s recent social justice advocacy and teachings, click here. And to visit Yolé!Africa’s website, click here. And be sure to check out the video below, created by students in Ndaliko’s MUSC 086 when Yole!Africa US was launched in 2012. To hear the incredible music of Miriam Makeba, visit her official YouTube channel.